HDB : “Getting a flat” statistics that hardly anybody believes? I refer to the article “Easy for first-time buyers : Mah sets records straight on claims by couples” (ST, Oct 8). It states that “HDB figures yesterday showed that eight in 10 first-timers could get a flat on their first try if they were not choosy ; the success rate was 96 per cent for the second try”. This latest revelation of the statistics, seems to go against the large number of complaints about the difficulty in getting a flat. I think one possible explanation, may be the way that the statistics are compiled. For example, if a very high priced HDB flat (like the $645,000 5-room flat which is still available and being offered in HDB’s latest exercise) is offered to applicants, all those who may find the price not affordable, may reject the offer. So, does this then mean that the statistics will show that “the success rate was 96 per cent for the second try”? 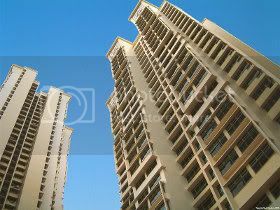 Another example, is say a lower-income household who’s breadwinner works in the East, but is offered a flat in Jurong. After factoring in the cost of traveling by bus and MRT, not to mention the time, the result may be that the flat is “not affordable”. If you are offered the worst location flat on the second floor, that hardly anybody wants, would you readily accept it considering that you are making possibly the largest purchase in your life? Instead of just saying that Singaporeans are choosy, the HDB should give the break-down of the statistics as to the reasons why people rejected flats. We need the statistics as to how many different types of flats are available relative to the number of applicants for each type. Without detailed statistics, telling us that 80 per cent are offered on their first try, but people are choosy, may be quite meaningless. You can offer the same flat to every applicant, but if nobody can afford or wants it, does it mean that the success rate of getting a flat was 100 per cent?